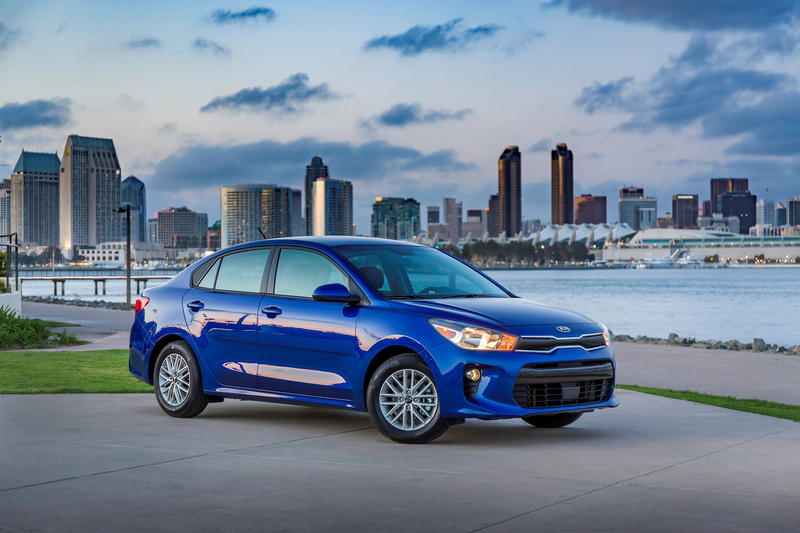 NEW YORK, April 12, 2017 – With its eye-catching design and impressive roster of features, the all-new 2018 Rio sedan and 5-door are the latest additions to the world-class Kia Motors America (KMA) model lineup. Penned at Kia’s European and U.S. design studios in collaboration with Kia’s design base in Namyang, Korea, this subcompact duo will bring an exciting combination of impressive fuel efficiency, innovative technology, advanced safety features4, everyday convenience and fun-to-drive character to value-conscious consumers when they arrive at Kia retailers later this year. 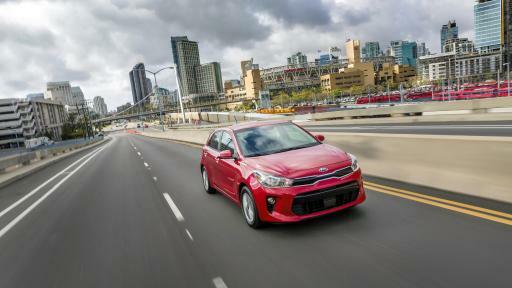 "Value has always been a core tenet for the Kia brand and the all-new Rio sedan and 5-door continue to underscore our commitment to those buyers looking for an entry-level vehicle but desire more than what the subcompact segment currently offers," said Orth Hedrick, vice president of product planning, KMA. 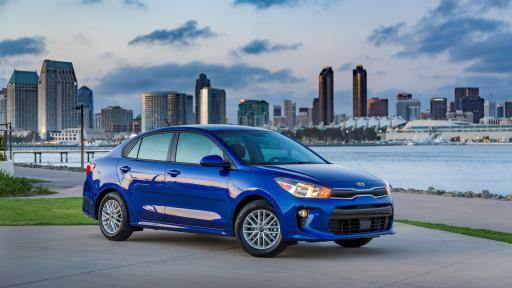 "This fourth-generation Rio makes significant improvements over its predecessor in design, technology and passenger comfort, resulting in an even better value proposition for our customers, while raising the bar in the small-car segment." Rio’s exterior is defined by crisp lines and smooth surfaces, providing a more sophisticated and sporty look over the previous generation. The front end wears the latest iteration of Kia’s ‘tiger-nose’ grille, integrating newly designed headlights that are swept back for a more aggressive appearance. In addition, Rio’s fog lamp surrounds have been moved outwards, creating greater visual width to the front fascia and a lower window line around the cabin provides the driver and passengers with a better all-around view. The Rio sedan has been lengthened to 172.6 inches (from 172.0 inches) and the Rio 5-door is now 160.0 inches long (from 159.4 inches). Both profiles feature a longer wheelbase of 101.6 inches (from 101.2 inches) and more upright A-pillars. 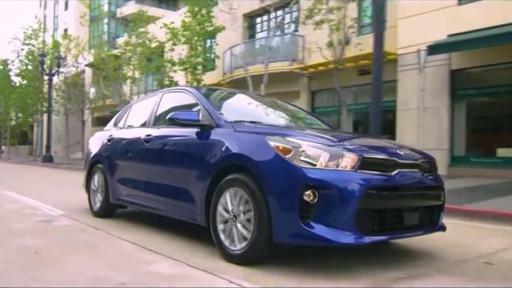 The sedan and 5-door are also lower and wider for a more balanced and athletic stance compared to the outgoing model. And a well-creased shoulder line runs from front to back, further stretching the appearance of the car to give it a sleeker and more substantive look than what’s currently found in the subcompact segment. The rear of the Rio is now more upright thanks to shorter overhangs and thinner, more expressive taillights. Like the front-end, the rear view of the car is wider, furthering a sense of stability. The Rio rides on 15-inch wheels that have been pushed to the corners. 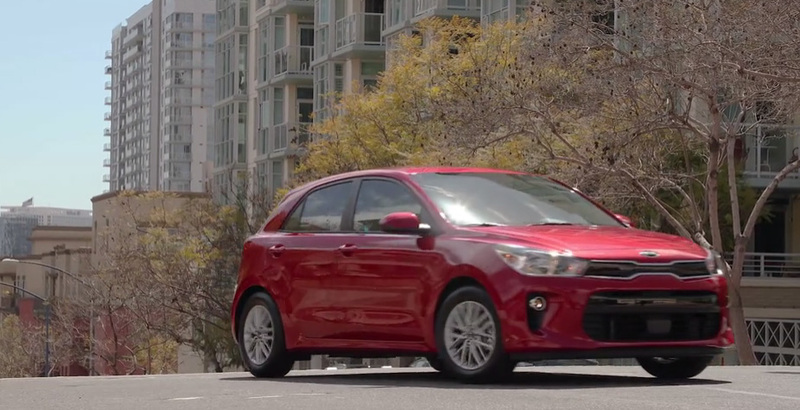 The EX trim’s sporty alloy wheel design underscores Rio’s fun-to-drive side and refinement. 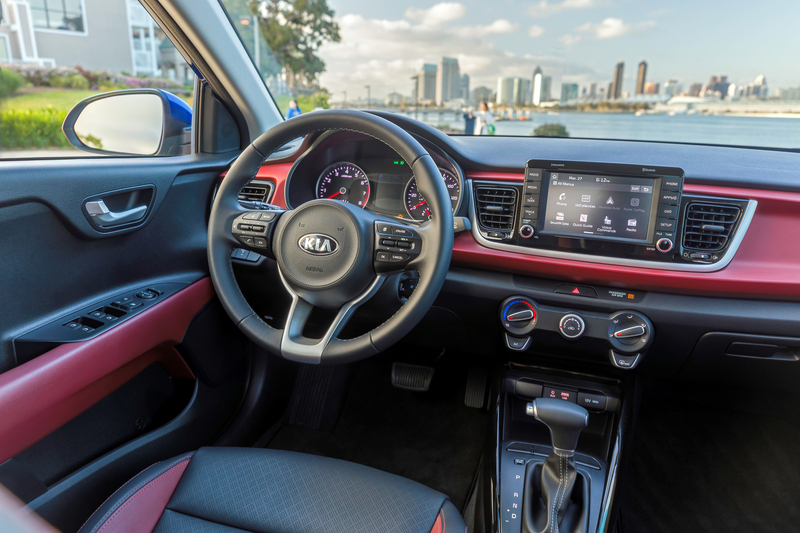 The Rio’s interior has become decidedly more spacious, modern and upscale with an improved instrument panel, more ergonomic layout and upgraded interior materials. 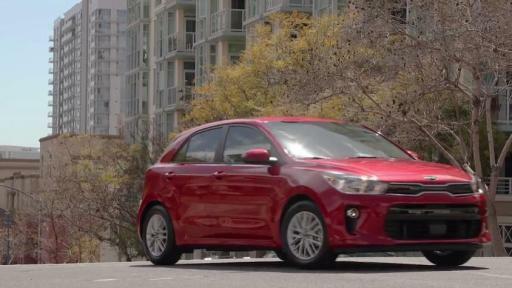 The cabin has also been redesigned to better accommodate the Rio’s new range of technologies. 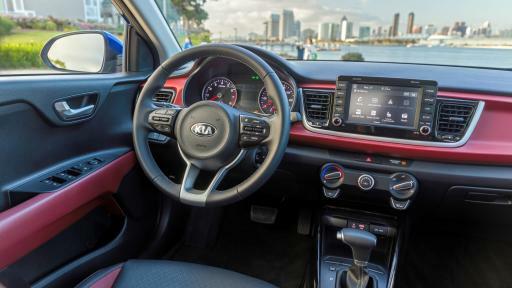 Thanks to Rio’s larger dimensions and wheelbase, its cabin is among the roomiest in its class – the sedan’s passenger space is 89.9 cubic feet while the 5-door hatchback measures 90.5 cubic feet. Front occupants will enjoy more head room, leg room and shoulder room while those in the second row will benefit from greater leg- and shoulder room. These improvements are the result of re-profiled door trims, new material for the headliner and a reshaping of the dashboard. Those looking for ample cargo room will not be disappointed with either the sedan’s 13.7 cubic feet or the 5-door hatchback’s 17.4 cubic feet. 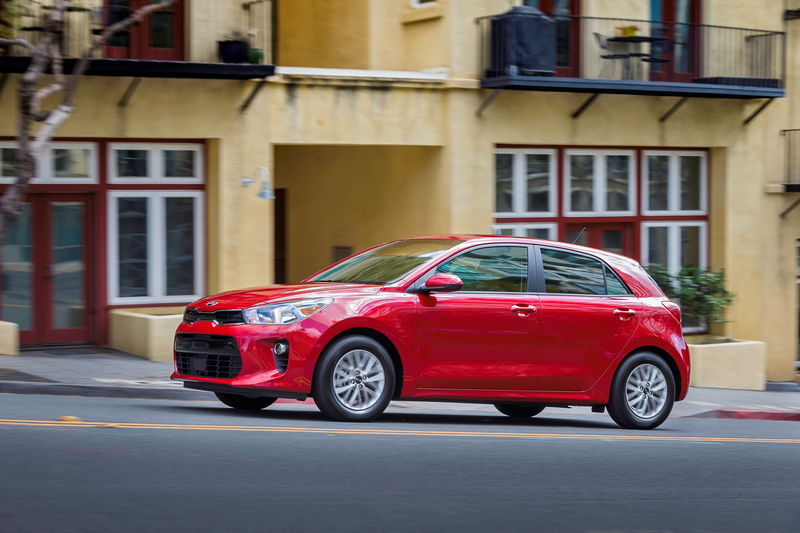 With the seats folded down, the hatchback offers a voluminous 32.8 cubic feet with a low and flat cargo floor to accommodate luggage, small furniture or weekend gear. On the tech front, the Rio offers a generous roster of features including Bluetooth® hands-free functionality5, a six-speaker stereo with satellite radio and a rear-view camera system6. Available only on the top-tier EX trim is a seven-inch floating touchscreen interface, UVO3 voice recognition infotainment system and smartphone integration through Android Auto™ and Apple CarPlay™, all of which are not typically found in the subcompact segment. Available in three trims – LX, S and EX – the all-new 2018 Rio is powered by a carryover but enhanced Gamma 1.6-liter GDI four-cylinder engine, targeting improved fuel efficiency, better responsiveness and low-speed driving dynamics. The main features of this unit are a high-pressure fuel system with direct injection, variable intake system, low-friction oil seals, and piston cooling-jets. The well-engineered powerplant also utilizes an aluminum valve cover and block for reduced weight, while incorporating cast iron linings for increased durability. 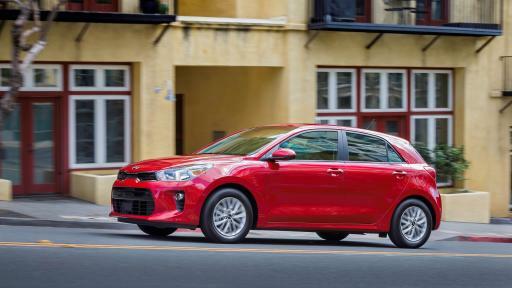 Power is channeled to the front wheels through either a six-speed manual or six-speed automatic transmission in both the Rio sedan and Rio 5-door. Output is a spirited 130 horsepower and 119 pound-feet of torque for a more engaging driving experience. The unibody Rio’s all-new platform is not only dimensionally larger than the previous generation model, but is now underpinned by a completely new suspension geometry. Weighing in at just 2,648 lbs. (manual transmission) and 2,714 lbs. (automatic transmission), engineers sought to refine the driving experience with more agile handling and improved ride comfort, and this was achieved by designing a fully-independent MacPherson strut front suspension and a torsion beam rear axle. The new Rio sedan and Rio 5-door also benefit from a revised spring and damper setup that helps make the car more compliant and comfortable. Stopping power comes from 11-inch disc brakes up front and drum brakes in the rear, while the EX model is outfitted with 11-inch disc brakes up front and 10.3-inch rear disc brakes. In total, these modifications deliver crisp and nimble handling and improve overall driver confidence. Rio’s solid structure makes use of advanced high strength steel to increase durability, collision test performance and torsional stiffness, while also reducing weight, for improved handling and ride quality. For reduced noise, vibration and harshness (NVH), the Rio uses body sealing and bonding adhesives to dampen sound pathways throughout its construction. 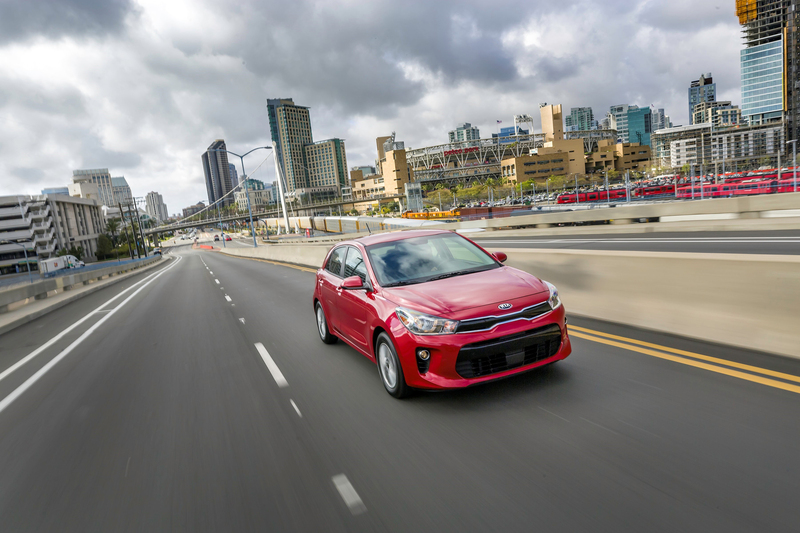 The all-new Rio is targeting the Insurance Institute for Highway Safety (IIHS) Top Safety Pick designation and a 5-star rating from the National Highway Traffic Safety Administration (NHTSA). Standard safety features include six airbags, side-impact door beams, Electronic Stability Control, a four-wheel Anti-lock Brake System (ABS), Hill-start Assist Control (HAC) and Vehicle Stability Management (VSM)4. 1 Apple® is a registered trademark of Apple Inc.
2 Android™ is a trademark of Google, Inc.
3 Autonomous Emergency Braking (AEB) is not a substitute for safe driving, and may not detect all objects in front of vehicle. Always drive safely and use caution. 4 No system, no matter how advanced, can compensate for all driver error and/or driving conditions. Always drive responsibly. 5 Warning: Driving while distracted can result in a loss of vehicle control that may lead to an accident, severe personal injury and death. Always drive safely and use caution. 6 Rear-Camera Display is not a substitute for safe driving, and may not detect all objects behind vehicle. Always drive safely and use caution.